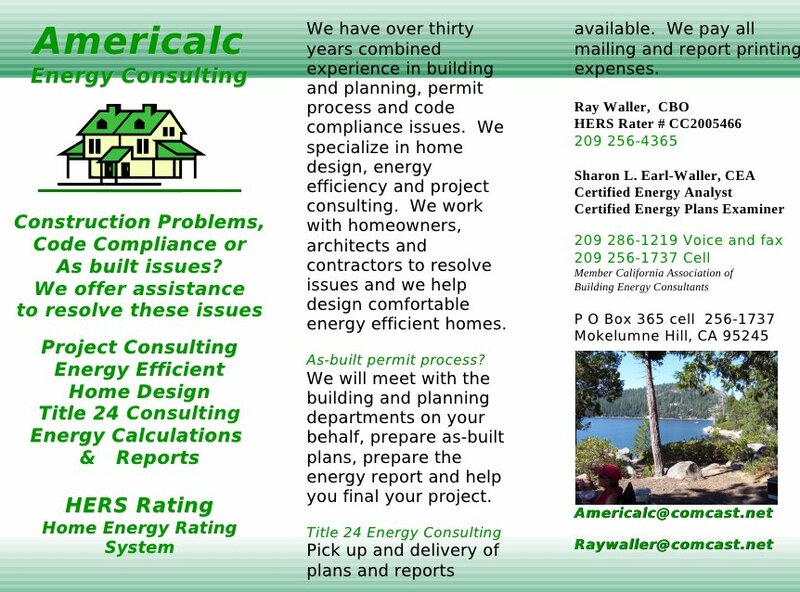 Americalc Energy Efficient Home Design, Title 24 Consulting, Energy Calculations & Reports. Our staff has over thirty years combined experience in home design, energy efficiency and project consulting. We work with homeowners, architects and contractors, to help design energy efficient homes.